Editor’s note: The original title of this piece was “Stop using ‘privilege’ as a silencer” but after considerable feedback, the author requested it be changed to “White allies, stop using the word ‘privilege’ as a silencer” in order to clarify the intended audience of the article. Here at Goshen College, as well as colleges and universities across the United States, we tend to exist in a space that is decidedly more liberal than the regions outside of our campus bubble. Studies conducted by both liberal and conservative researchers have found a pattern of left-leaning political ideology from professors in higher education across the country. 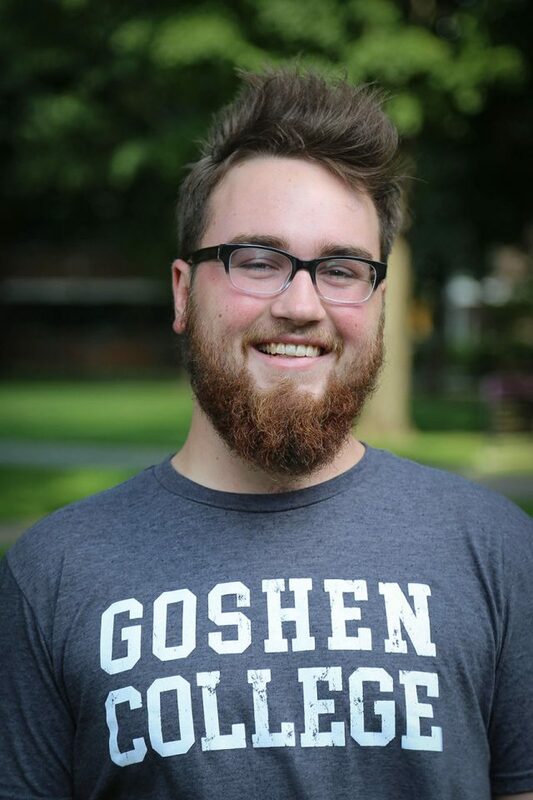 In one such study, it was found that 61 percent of liberal arts faculty members, like those at Goshen College, tend to identify as liberal, while only 3.9 percent consider themselves conservative. I probably won’t run into much resistance with the suggestion that these numbers are likely even more skewed to the left here at Goshen. So, why does this matter? The difference between liberals and conservatives go beyond ideology and political identification. Among other differences, liberal and conservative folks tend to use different language frameworks, which is to say, they talk about things differently. Goshen College is an interesting microcosm for this tendency. When a student comes to Goshen as a first-year, the language frameworks that they experience here may be unfamiliar. Despite having an older sister who attended Goshen, this was the case for me. One of the words common in Goshen College’s language framework is the word privilege. As a white man, my experience with this word might be predictable. I initially heard the word as a challenge to my experience – and a challenge to the way that I think. That isn’t necessarily an easy thing to confront in oneself, but I do believe that it is vitally important. I believe that we ought to use privilege as a framework for analysis and spend time looking at ourselves, our experiences, and our identities. In this context, the language of privilege is helpful. Privilege can help us concretely identify what sorts of advantages we have because of gender, race, or background, prompting questions that ask, “what benefits do I get from my status?” or “how should I relate to others who don’t receive these benefits?” These are just a few examples of a healthy use of the privilege analysis. However, there is a limit to the usefulness of the word. When the word “privilege” becomes a call-out, it becomes a problem. First of all, it’s important to recognize that just because someone is a student at Goshen, doesn’t mean that they are on the same page as you about the word privilege. It should be obvious that the word has some connotations that don’t perfectly fit it’s use in our context. Privilege, for example, can often be misunderstood as an evaluation of the relative difficulty of someone’s life based on their gender, or the color of their skin. Of course, it’s ridiculous to assess the “difficulty” of someone’s life on such a basic level, and the word isn’t usually intended to imply that. Still, it’s important to note that it often comes across that way, especially to people who are unfamiliar with Goshen’s language framework. Interpretation problems are exacerbated when the word itself is co-opted into a call-out, a retort in argument or debate. Maybe you’ve heard the phrases “check your privilege,” or “your privilege is showing.” These are phrases that sting. They aren’t crafted as reminders to assess advantage and experience, they are insults, and they have that effect. I’m also frustrated by times when the word privilege is used in arguments because it tends to indicate a lazy argument. How much more productive would it be to debate the actual concept at hand, rather than call someone out for why they think what they do. And, more importantly, is the person you are accusing likely to accept this stinging call to “check” their privilege in the middle of a potentially heated discussion? They might blow off the insult, but even worse, they might retreat out of the conversation, deciding they don’t want to participate. It is a painful irony, in my eyes, that progressive movements claim intersectionality while using language structures that tend to exclude conservative voices, even when those conservative people potentially have a vested interest in the success of the movement. Here at Goshen, we need to keep focusing on hearing from the diverse voices in our community – factoring in political and social positions in the definition of diversity. We can’t do that if we find more satisfaction in calling each other out than in calling each other in. I think “calling people in” to the truth of privilege is way more important than avoiding hurt feelings. It’s like going along with someone saying that gravity is not real just to make them feel better. “Oh yeah, let’s mess with that concept, maybe gravity isn’t real? !” Let’s not mess around with concepts we know our wrong, especially when those concepts hurt people. Why would it harm you to check your privilege and actually listen to people who have experienced the horror of oppression such as racism and sexism? Thank you, Jace. You’re right, I think, that our energies can be better spent by being proactively inclusive than by one-upping each other as if there were a self-awareness competition going on.